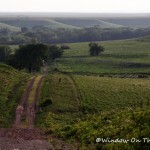 Today I’d like to share with you a few odds and ends that we saw on our most recent trip to the Flint Hills. 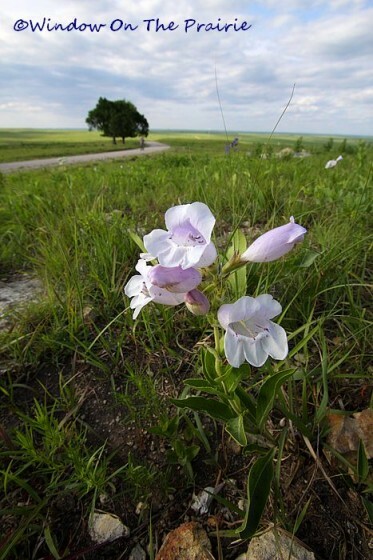 A few wildflowers in bloom: This white one is called Prairie Larkspur. This purple one is one of my favorites. 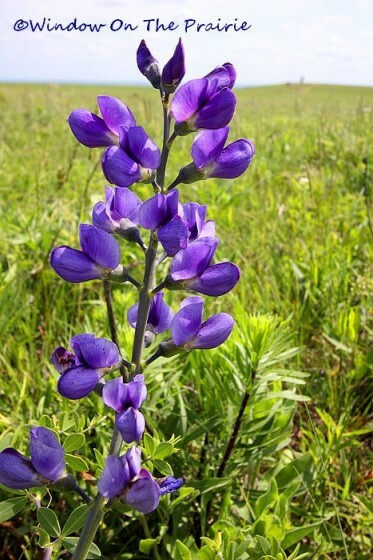 It’s called Blue Wild Indigo. 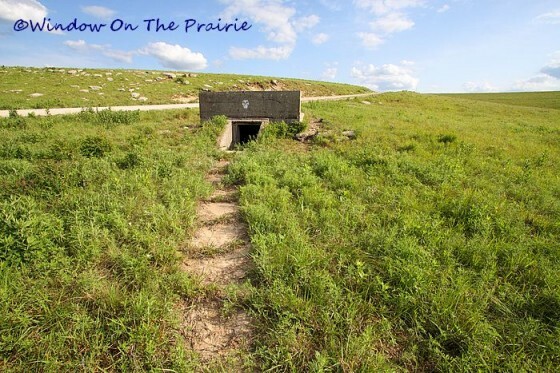 The eastern part of the Flint Hills experienced an oil boom from the 1930s to the 1950s. Little towns sprouted up overnight and when it was over they disappeared leaving little evidence of their existence. Here is where the town of Kenbro once was. 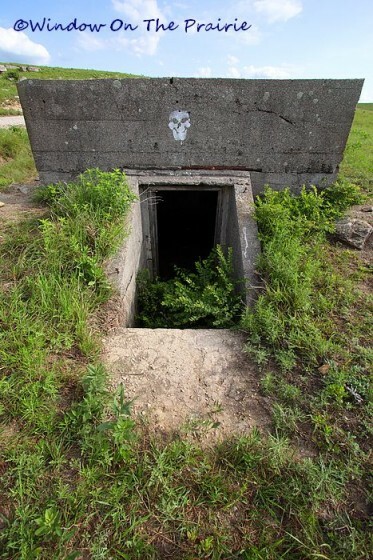 Not having any basements in their homes, it looks like they built a community storm cellar to escape from tornadoes. 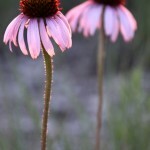 This light pink flower is another of my favorite wildflowers. 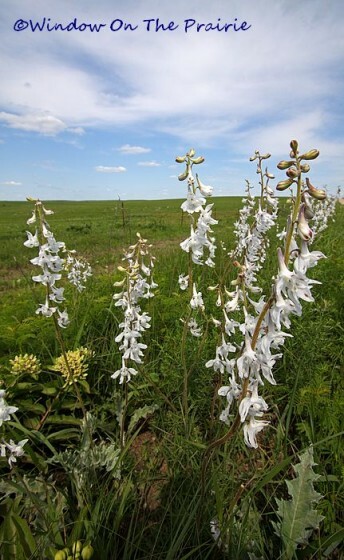 It’s called Cobaea Penstemon. 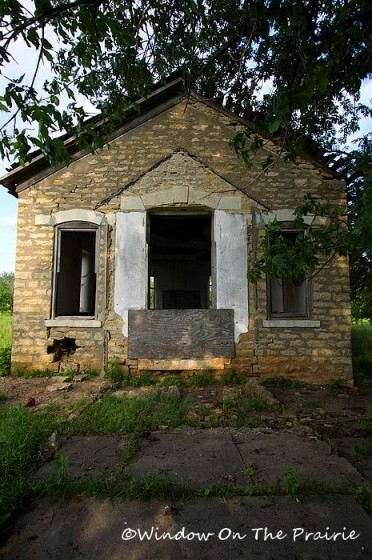 Further on down the road into a river valley, we found an old limestone schoolhouse tucked away into the trees bordering a creek. This was as close as I dare go to it. There were bumblebees swarming all around inside. Imagine the activity this sidewalk once saw…. 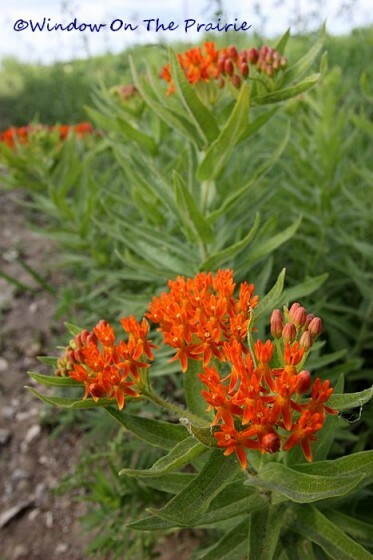 This orange wildflower is called Butterfly Milkweed. 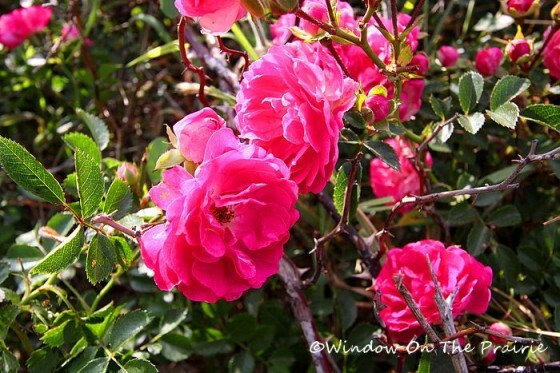 And finally, here’s another rosebush, evidence that a house once stood here. 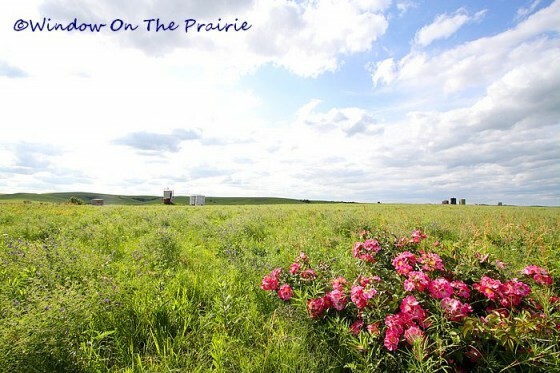 In the background you can see oil tanks left behind from when this was an oilfield. 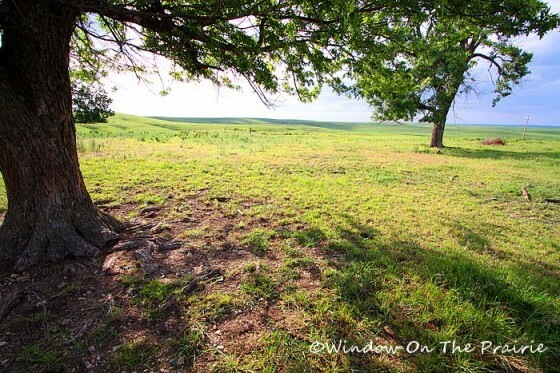 There’s a lot to see in the Flint Hills. We never tire of getting off the paved roads and taking the less traveled gravel or even dirt roads. 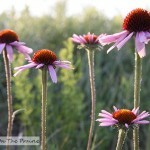 I am loving the pictures of all the wild flowers and your favorites are mine too. So beautiful. Keep taking the raod less traveled, I love going with you! These are beautiful. I, too, enjoy flower photography. Beautiful wildflowers, especially the Blue Indigo. 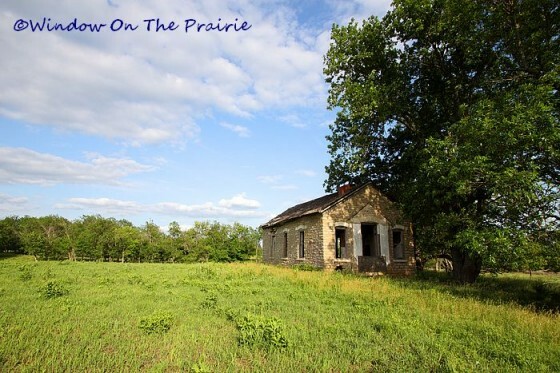 What little treasures you discovered in the vast prairie. 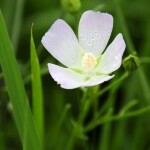 I love all your pictures of the spring wildflowers! The indigo and the milkweed are gorgeous! I especially love the Indigo (baptisia) and had some in my garden at the first little house we lived in. 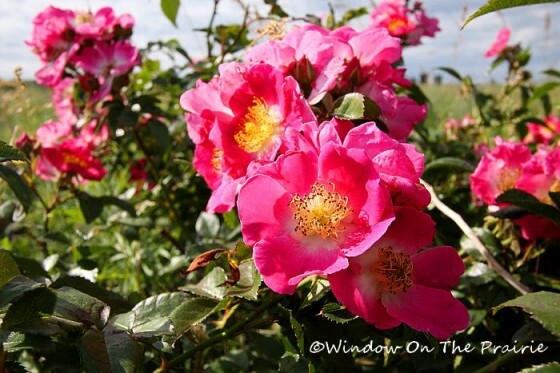 Now that is the kind of rose that we all need to put in our gardens, because it has proven that it can survive the extremes of Kansas summer heat and winter cold without any care at all, except what nature provides. I’m enjoying the Flint Hills tour! Beautiful! Your blog is a nice escape for the City Slicker that I am. LOL! 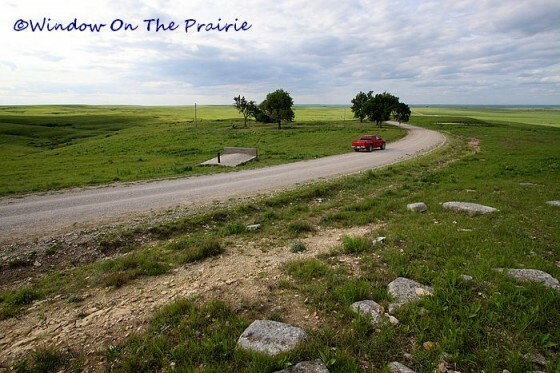 As you know, I’m FROM Kansas but I never saw the beauty of the Flint Hills till you took us on the tour! Thanks! Thank you Suzanne for such a wonderful and beautiful post. I throughly enjoyed it. Your photos are beautiful & I enjoyed your comments. You & Harland visit such interesting areas. 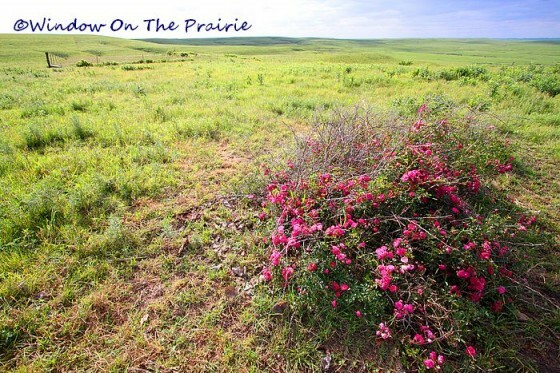 I love all the pictures of the flowers and the Flint Hills! Love the pictures. 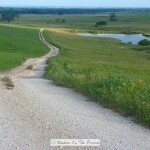 Am looking forward to an upcoming trip to the Flint Hills in June. Many blessings to you! Oh, man! 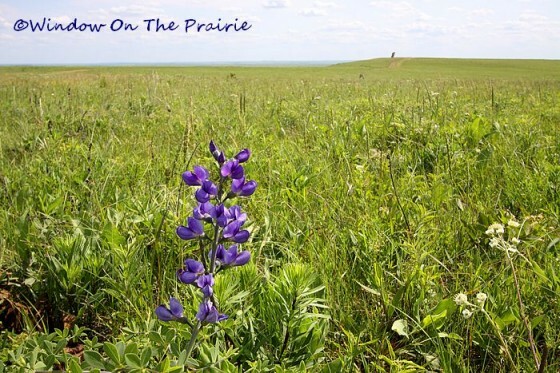 This is the second time today that I have seen a photo of prairie larkspur. 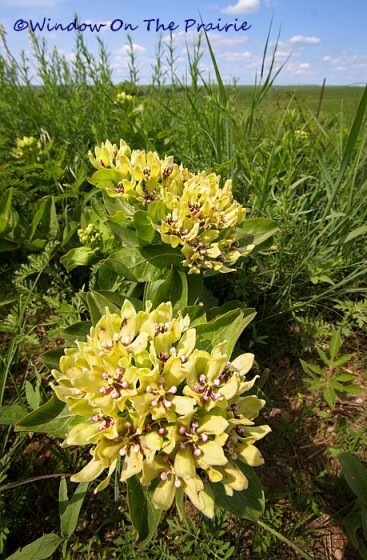 I want to find some of that, and was recently told to get some seeds. They don’t sell them in pots because they go dormant. I don’t think I’ve heard of that antelopehorn plant. It’s a cool looking bloom!